High on many people’s lists of most beloved birds, chickadees are treasured for their approachability and “cuteness.” They are sociable and many mate for life, although pairs remain bonded only during the breeding season and otherwise socialize in flocks. 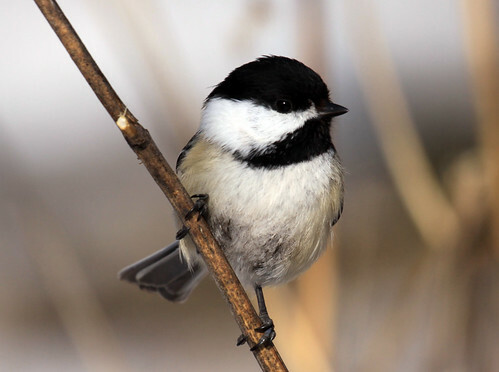 The chickadee is the state bird of Maine and Massachusetts, and I’ve tried hard to get it named Minnesota’s “Emergency Auxiliary Backup State Bird,” to serve during the 6 months each year when loons have flown the coop and are not fulfilling their responsibilities. I did a TEDx talk in Bemidji in October 2018, about why we should try to be like chickadees rather than wolves. You can see it here. Laura's Best Bird EVER! I went looking for birds, and found joy, love, redemption, and more.